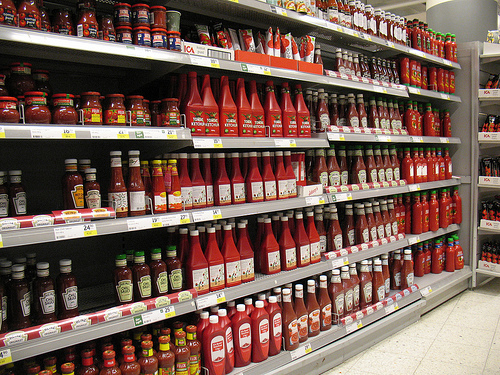 Here in the US, we are blessed to have lots of different options—just look at the ketchup/catsup isle in any grocery store and you’ll see what I mean. Kind of overwhelming, right? Well, the same sentiment can be applied when choosing where you want to give birth to your baby. Sometimes there are so many choices that it can be hard to figure out what you really want. Today, I’m going to break it down for you—we’re going to look at the three main options for childbirth in the U.S. to help you choose what’s right for you and your family. One of my top suggestions? Get on your local parenting website/facebook groups and ask what kinds of experiences people have had a with a particular care provider or birth place. Folks are usually more than willing to tell you about their experience, and those recommendations can go a long way in helping you figure out the right fit for you. Hospital birth: 98 to 99% of births in the U.S. occur in the hospital. Largely, this is because most people find that their insurance will cover a majority of the costs associated with the hospital birth. In some ways, insurance companies have had a lot to say in how and where we decide to give birth. What a lot of folks don’t realize is that often the out of pocket costs for a hospital birth are still considerable. If you have a high deductible, and then have a 20% co-pay (which is a pretty common health insurance plan for many people these days), you could be paying several thousand dollars out of pocket for your hospital birth. That is important to remember when choosing your birth setting. There are a great many things to consider about hospitals as your birth choice. Some of the benefits of giving birth in a particular hospital might be: proximity to higher level care (like a Neonatal Intensive Care Unit, which is a special wing that is dedicated to taking care of very sick newborn babies), availability of medications for pain relief in labor, and insurance coverage (depending on your level of insurance). Some of the drawbacks might be: having less control over your birth experience and what happens during labor and birth, a higher risk of interventions, and a higher risk of an operative delivery. When choosing to give birth in the hospital, it is important to remember that you may have options when it comes to which hospital. Often there are hospitals with better reputations in your area, and it may make sense to tour a few and find out if any of them feel like the right fit. Also remember that your care provider may only have privileges at certain hospitals, so it’s good to check with them first to see where they are able to attend you. 2. 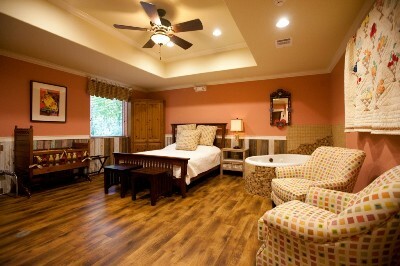 Birth Centers: Free standing birth centers are the latest trend in birth in the U.S. These centers are generally not associated with a particular hospital and are run or staffed by primarily midwives. They usually have a greater focus on physiologic birth and natural pain management techniques. Usually, they only accept low-risk, healthy pregnancies. So if you have an outstanding medical condition, be sure to check with the birth center you’re interested in to see if you are a candidate to birth there. Many birth centers accept insurance, but you are again limited by the out of pocket costs specified by your insurance carrier. Call your insurance company to find out what you might have to pay for your birth center birth. Some of the benefits of giving birth at a birth center are: more personalized attention in the form of midwifery care, less risk of interventions and operative delivery, and generally a short ride to higher level care if it’s needed. Some of the draw backs are: very few medications for pain management available (although for some this is considered a benefit), only for low-risk pregnancy and a transfer of care would be necessary if your labor became high-risk. 3. Home Birth: Home birth is a controversial topic in the U.S. Many people feel very strongly one way or the other. Either way, it is still a valid option for birth. Most home births are attended by midwives with varying levels of education and experience. Make sure to interview many midwives so that you can find the right care provider for you. Insurance coverage for home births varies from state to state, and even from city to city. Most often, expect to pay your midwives fee out of pocket, and then try for re-imbursement from your insurance company. This out of pocket cost is not unlike the out of pocket costs that you would pay for a hospital or birth center birth. In the end, while cost is a factor, remember that you often will be paying similar amounts for each of the settings—so don’t let that be the main factor! Where you will feel most safe and comfortable is the most important part of choosing your birth setting. Some of the benefits of home birth are: highly personalized care (as you generally see only 1 or 2 providers your whole pregnancy, and those are the same people that attend your birth), lowest risks of intervention and operative birth, and highest level of choice in the labor and birth process. Some of the drawbacks of home birth are: very few or no medications for pain management, only for low-risk pregnancies, and transfer of care would be necessary if your labor became high-risk. Also, the transport to the hospital, if needed, could be fairly far if you live in a rural or remote area. As you can see, there are pros and cons for each birth setting you might choose. Talking with other parents about their birth experiences, doing some limited research on the internet, and listening deeply to your own intuition will go a long way in helping you narrow down your choices. Where did you give birth and how did you like it? Leave your comments below! Love your motto and think therefore would have loved reading some indication of how these choices impact on optimal, physiological labour and birth through the flow or not of birth hormones which are an important foundation for the baby’s life as explained by Dr Sarah Buckley in her book “Gentle Birth Gentle Mothering”. While I love Dr Buckley’s work, I wanted this piece to be as unbiased as possible. Simply a way to help people start thinking about the things they need to consider when choosing a birth setting. Although, that’s a great idea for another post! labour and backs everything with referenced evidence! Previous PostPrevious What to do when you JUST. CAN’T. SLEEP! Next PostNext Big news, folks! The Biggest! !